Energous Corp (NASDAQ: WATT) shares climbed 168.1 percent to close at $23.70 on Wednesday after the company reported that the company has received FCC certification for over-the-air, power-at-a-distance wireless charging. KBS Fashion Group Ltd (NASDAQ: KBSF) shares gained 28.92 percent to close at $4.19. Lightbridge Corp (NASDAQ: LTBR) shares jumped 28.7 percent to close at $1.48. 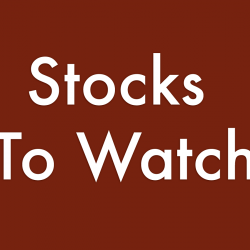 TESSCO Technologies, Inc. (NASDAQ: TESS) gained 25.85 percent to close at $22.15 on Wednesday. Cerecor Inc (NASDAQ: CERC) shares surged 21.69 percent to close at $4.04. Ideal Power Inc (NASDAQ: IPWR) shares climbed 19.88 percent to close at $1.99 on Wednesday. Galectin Therapeutics, Inc. (NASDAQ: GALT) shares gained 15.06 percent to close at $2.98 on Wednesday. Sonic Foundry, Inc. (NASDAQ: SOFO) shares surged 13.52 percent to close at $2.77. YuMe Inc (NYSE: YUME) jumped 13.09 percent to close at $4.06 on Wednesday after dropping 1.10 percent on Tuesday. Aileron Therapeutics, Inc. (NASDAQ: ALRN) shares climbed 12.7 percent to close at $10.38. FAT Brands Inc. (NASDAQ: FAT) shares rose 12.18 percent to close at $8.75. Celsion Corporation (NASDAQ: CLSN) shares surged 11.67 percent to close at $2.87. Longfin Corp (NASDAQ: LFIN) shares gained 8.18 percent to close at $58.87. Sierra Oncology Inc (NASDAQ: SRRA) shares gained 7.84 percent to close at $3.85 on Wednesday after surging 10.53 percent on Tuesday. HTG Molecular Diagnostics Inc (NASDAQ: HTGM) shares gained 6.7 percent to close at $2.07 after the company reported an expansion of collaboration with Merck & Co., Inc. related to Assay development and the manufacturing of kits supporting research programs. Medigus Ltd. (NASDAQ: MDGS) gained 6.06 percent to close at $1.40 after the company announced the first MUSE procedure for the treatment of GERD performed in Israel. NXT-ID Inc (NASDAQ: NXTD) shares tumbled 18.74 percent to close at $3.86 on Wednesday. ReTo Eco-Solutions, Inc. (NASDAQ: RETO) shares dropped 17.92 percent to close at $7.01 on Wednesday. SAExploration Holdings, Inc. (NASDAQ: SAEX) shares fell 16.28 percent to close at $2.16. Future Fintech Group Inc (NASDAQ: FTFT) shares dipped 15.87 percent to close at $5.25 on Wednesday after jumping 43.45 percent on Tuesday. Yangtze River Development Limited (NASDAQ: YERR) shares dropped 15.44 percent to close at $12.05. Long Blockchain Corp (NASDAQ: LTEA) shares fell 15.21 percent to close at $4.07 on Wednesday after dipping 20.13 percent on Tuesday. Net Element, Inc. (NASDAQ: NETE) shares dropped 13.38 percent to close at $11.91. ADOMANI, Inc. (NASDAQ: ADOM) shares fell 12.8 percent to close at $4.36 on Wednesday. Seven Stars Cloud Group, Inc. (NASDAQ: SSC) dropped 12.5 percent to close at $5.18. Aptose Biosciences Inc (NASDAQ: APTO) shares fell 11.26 percent to close at $2.05. Aptose Biosciences shares gained 29.78 percent Tuesday after the company disclosed that the FDA has granted orphan drug designation to CG'806. Contango Oil & Gas Company (NYSE: MCF) shares dipped 11.11 percent to close at $4.64. Pareteum Corp (NYSE: TEUM) shares dropped 10.71 percent to close at $2.50 on Wednesday after climbing 120.47 percent on Tuesday. Callaway Golf Co (NYSE: ELY) dropped 6.91 percent to close at $14.02. Compass Point downgraded Callaway Golf from Neutral to Sell. One Horizon Group Inc (NASDAQ: OHGI) fell 4.12 percent to close at $1.6204 following S-3 showing registration for 2.33 million common share offering via selling holders.